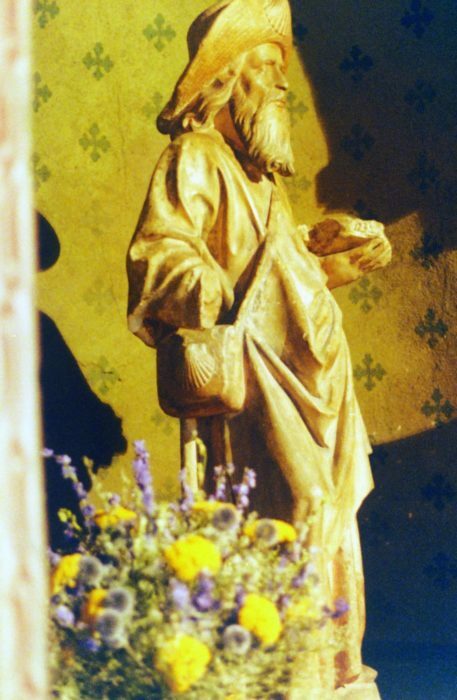 An intro to… The Way of St James - France, answering questions like 'What's so special about St James? ', 'What does the scallop shell mean?' and 'How fit do I need to be?'. Where is The Way of St James? 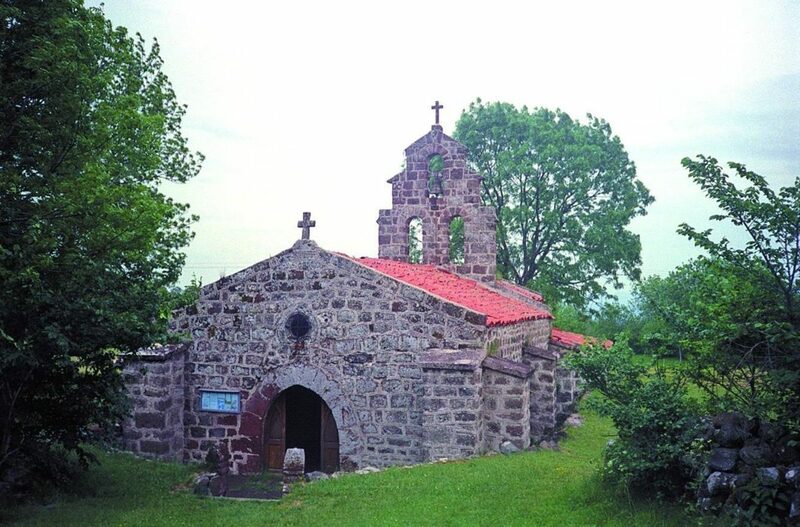 The 1500km route runs from Le Puy-en-Velay in the Haute Loire region of France to the City of the Apostle in the western reaches of Galicia, Spain. 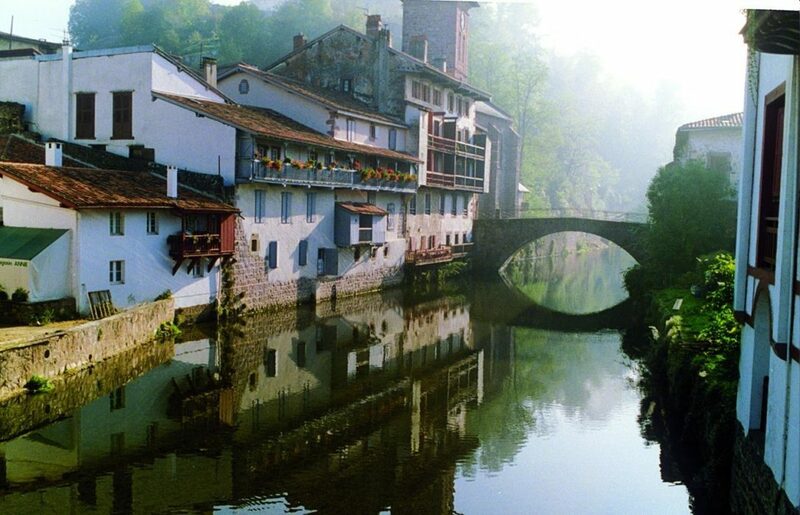 Pilgrims can continue the journey through Spain, all the way to Santiago de Compostela. 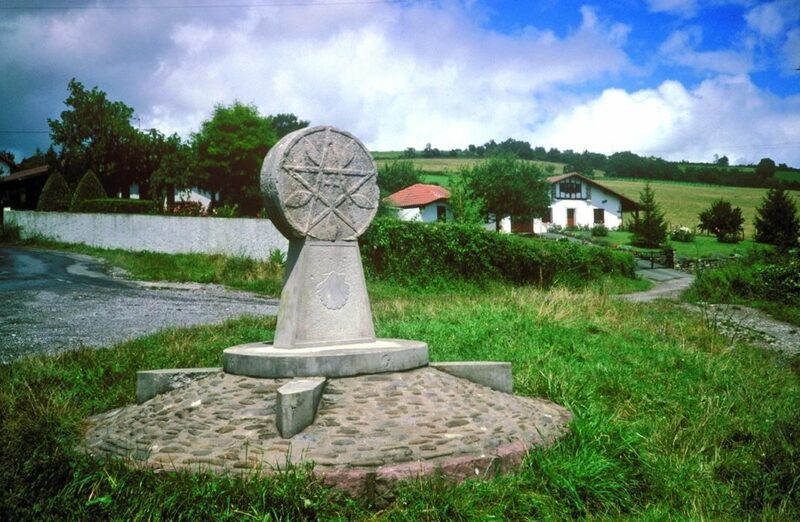 People have been walking this pilgrimage route for over a thousand years, and in 1987 the section from the Spanish monastery at Roncesvalles in the foothills of the Pyrenees to Santiago de Compostela became the first European Cultural Itinerary. Why should I walk The Way of St James? 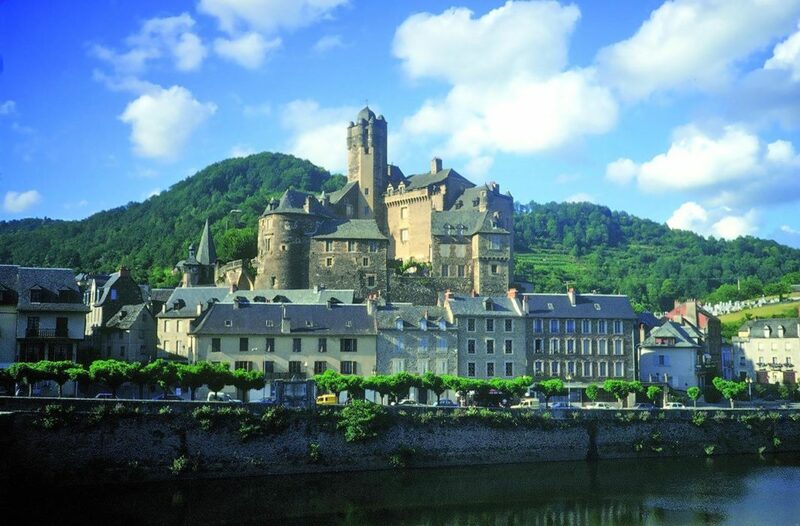 People make the journey from Le Puy-en-Velay to the Pyrenees and then on to Santiago for a variety of reasons. For some it is just another long-distance walk. For others the motives may be historical, cultural or religious, while for many it may also be a significant action or event in their lives: to mark their retirement, perhaps, to fill the gap between studying and taking a first job or to take time out to decide which way to go next after a turning point of some sort. In the 21st century, pilgrims are people of all ages and from all walks of life. 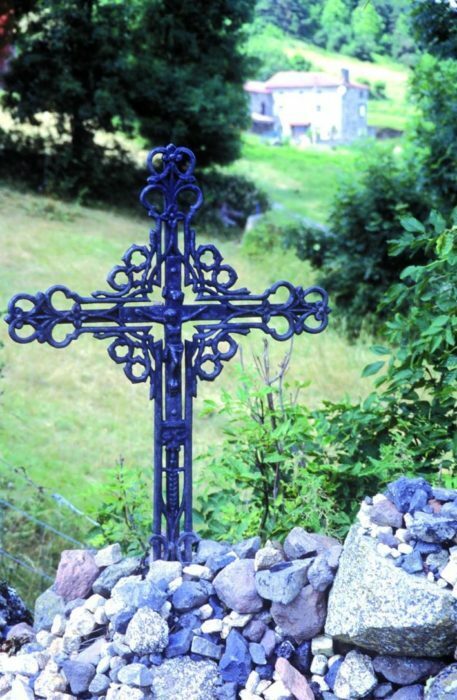 The walk from Le Puy to Saint-Jean-Pied-de-Port can be completed in four to five weeks by anyone who is fairly fit and who also likes to visit places of interest along the way. It can be undertaken in sections, too, by those who lack the time to do it all in one go or who would just like to cover certain stretches. How fit do I need to be for The Way of St James? 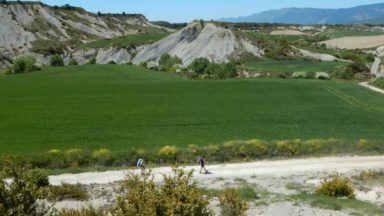 The Way of St James is a long-distance footpath with a difference in that many of those who walk the route through France and the vast majority of those who start on the Spanish side of the Pyrenees are not experienced walkers at all. Many have never done any serious walking in their lives and many will never do any again; for here, as in the past, walking is a means of transport, a means to an end, rather than an activity for its own sake. If you are not already used to walking or used to carrying a rucksack day in, day out, get in plenty of practice before you go. Consider joining your local rambling club at least six months in advance and go out with them as often as you can. Most clubs have walks of different lengths and speeds so you can start with a shorter, slower one if you need to and gradually build up your speed and stamina. 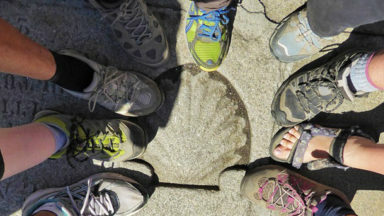 What's so special about St James and Santiago de Compostela? 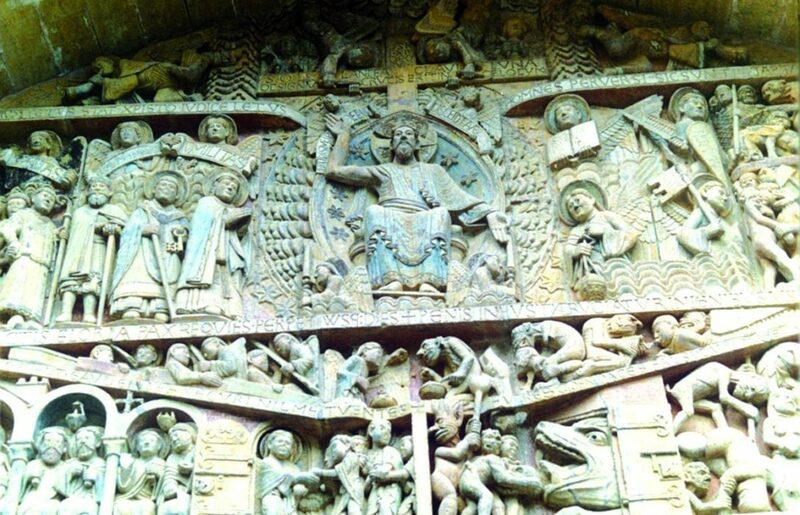 Santiago de Compostela is a great centre of Christian pilgrimage, with many routes or caminos ending there. 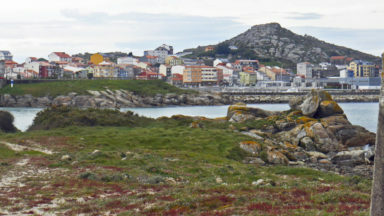 It became a pilgrimage destination after the discovery of the body of St James the Great, Jesus' cousin as well as, later, the patron saint of Spain. The king of Spain at the time of the discovery of St James' body, Alfonso II, built a church and a small monastery over the tomb in the saint’s honour, around which a town grew up. 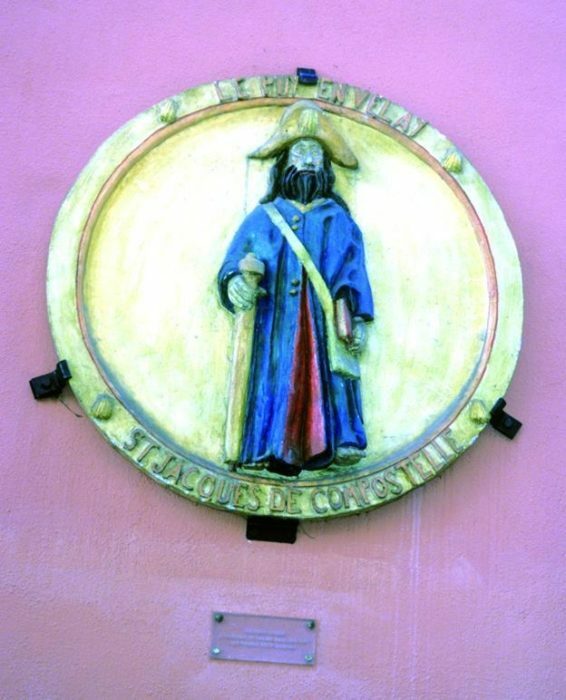 It was known as campus de la stella or campus stellae, later shortened to compostela – one explanation of the origin of the name. Another is that it derives from the Latin componere (to bury), as a Roman cemetery or early Christian necropolis is known to have existed under the site of the present-day cathedral in Santiago – where the remains of St James are still believed to be housed today. What does the scallop shell mean? The scallop shell – the coquille Saint-Jacques – which has for many people become an essential ingredient of ‘pilgrim uniform’ nowadays was, in former times, something that was carried back from Santiago by the returning pilgrim; scallops were only to be found on the Galician coast and thus served as additional proof that the pilgrim had actually reached his or her Destination. The scallop shell was also the symbol embedded above doorways and elsewhere on the many and varied buildings that accommodated pilgrims along the different roads to Santiago. Pilgrims with money could stay in inns and other publicly available lodgings, but the vast majority probably stayed in the various hospices and other facilities provided for them. How do I get my pilgrim passport? 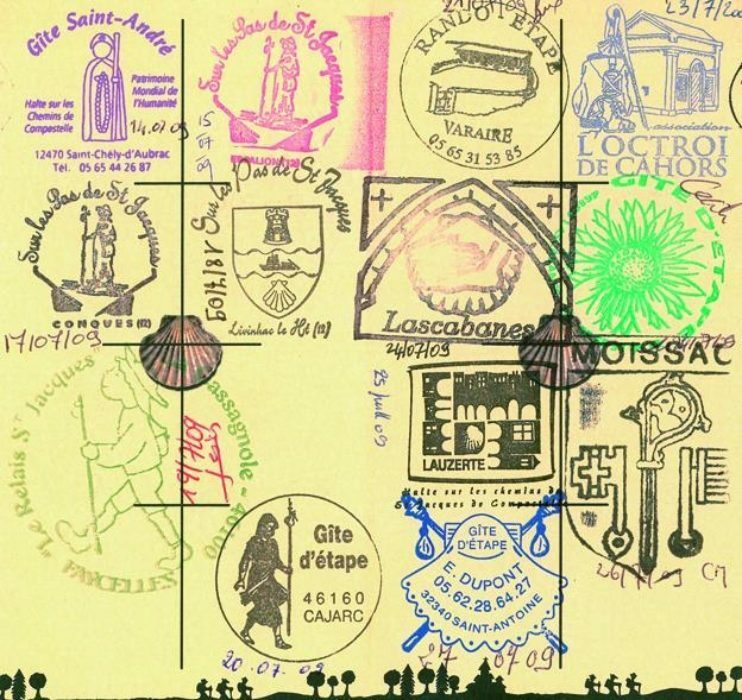 Modern pilgrims who seek proof of their pilgrimage carry a ‘pilgrim passport’ (créanciale in French) which they have stamped at regular intervals along the Way and which they then present to the Cathedral authorities in Santiago to help them obtain their Compostela (certificate of completion of pilgrimage). The Créanciale itself, issued by the Eglise de France, is available (in person only) from the Cathedral in Le Puy when you arrive there. This serves not only as a souvenir of all the places you stayed on your long journey to Santiago and as evidence that you have completed at least the last 100km of the Way of St James (if you’re making the pilgrimage on foot – 200km for cyclists), but a pilgrim passport is also required if you wish to sleep in the increasing number of strictly pilgrim-only places of accommodation along the Le Puy route, as well as on the Camino in Spain. The route is practicable, but not necessarily recommended, all through the year. 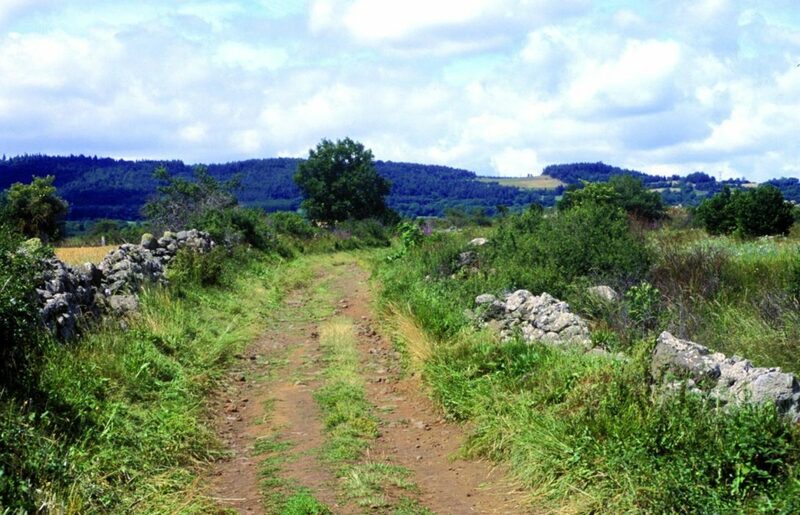 In winter there is often snow on the Aubrac plateau and nearly always in the Pyrenees, it rains a lot in the Basque country – something it does on all parts of the route in spring – and much of the accommodation may be closed at that time of the year. If you are not restricted to a particular time of year then May or early June or the autumn are best – dry, but not as hot as in summer, with long hours of daylight, although accommodation is naturally becoming increasingly crowded then. Traditionally as many people as possible aimed to arrive in Santiago for the festivities on 25 July, St James’s Day, particularly in Holy Years. Many still do. 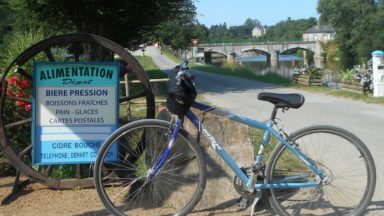 Most towns, even small, and especially those on a river, have a campsite, and many farms along the way also offer camping à la ferme. Campsites vary in price according to the facilities they offer, but as more and more sites are being upgraded it may now be very little cheaper to camp than to stay in a gîte d’étape (see below). The only real advantage in carrying a tent is the freedom to stop when and where you want as campsites are so numerous. 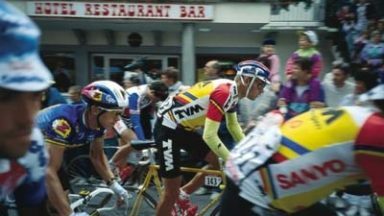 Gîtes d’étape may seem too spartan for some people’s tastes, but they are a very good way to meet and get to know other pilgrims, as are the refugios in Spain, especially if you are walking or cycling the entire route. The best bit will be different for anyone doing a pilgrimage, as it will depend on your motivations. 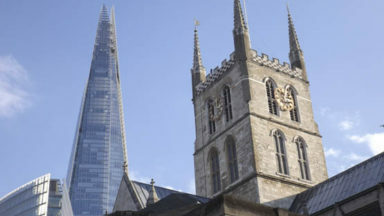 But almost everyone who has walked the Way of St James, and especially those who did the whole route in one go, would probably agree that it has changed their lives in some way, even though that may not have been their original intention.